I have found my new addiction, Pulp magazine audio books. The old pulps full of short stories by great authors seem like a thing of the past. I don’t know of any magazines that print short stories within any genre like they used to back in the mid 20th century. Some of the best science-fiction writers practiced their arts in those magazines. Golden Age Stories and Galaxy Press have taken over 150 stories by L. Ron Hubbard and have produced their own pulps, in the printed books they include some of the original artwork that went along with the stories and the books can contain from one to five stories within a genre. The many genres Mr. Hubbard wrote in were; Sea Adventure, Far Flung Adventure, Air Adventure, Westerns, Fantasy and my favorite, Science-Fiction. Galaxy Audio (part of Galaxy Press, of course) has produced each of these “pulps” into what I would term Pulp Audio books. They have kept them affordable at 2 hours of stories for only $9.95 (2 discs). I understand they are also available as downloads, and sometime ask me about the super cool ePulp (a fully loaded iPod). The great thing about Galaxy Audio is that they have taken these fantastic tales with larger than life characters and created some great listening. Like the printed books re-create the old pulps, the audio versions, with their multi-cast acting, sound effects and superb incidental music, re-create the old time radio dramas. The larger than life characters are superbly acted out and seem to be even larger than larger than life. Originally published in February, 1941 issue of “Unknown Fantasy Fiction,” may seem a bit like a lesson in capitalism and socialism. Farmer Eben Smith is fed up with the government paying him to bury his surplus produce in order to fix the economy when there are people starving in the world. So, Eben loads up his cart with some of his surplus, hooks up the horse and decides to take the food to the city and share the wealth, while making a little bit of money as well. Eben finds himself lost at a very strange crossroads. The crossroads consists of four very different roads: the wheel rutted road he’s traveling, a white dusty trail, a road that consists of large boulders, and a shiny metal road. The travelers on each road seem to have something to barter, but once the barter starts each society represented by a road goes into turmoil. I guess this is what happens when a farmer falls into a nexus of time. Originally published in October, 1941 issue of “Unknown Worlds,” Is a bit of a romantic story that tells of two magical beings that make a bet that a human cannot have everything he/she wants and then give it back after only 48 hours. One of the being seeks out an elderly woman that is on her death bed with no friends or family. She has led her life hanging in the background and is dying a lonely woman. Given the chance to love and be happy for 48 hours is a perfect chance for her. She soon meets a rich playwright and falls in love. The star-crossed lovers complete their whirlwind romance by getting married. As the woman approaches her 48th hour she leaves her husband and tells him not to look for her. As any man in love would do, he tracks her down, and in true L. Ron Hubbard form brings a conclusion to the story which may surprise you. Originally published in October, 1940 issue of “Unknown Fantasy Fiction,” a sailor is lost at sea after all the members of his ship have died just as they round The Cape of Good Hope. After he spends a week alone in a small lifeboat, he is rescued by a mysterious ship with an even more mysterious crew. He soon finds himself rolling bones to save his skin. 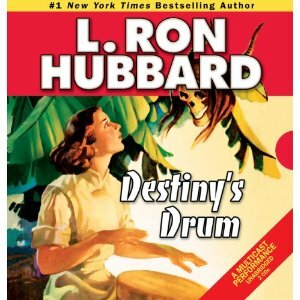 This story is one that shows the jack-of-all-trades background of L. Ron Hubbard. Hubbard was once a sea-farin’ man and his use of the terminology really shines here, as a former Navy man I loved hearing the nautical terms to push the story along. Once again another collection of larger than life stories to lose yourself for a couple of hours. Recently I’ve been listening to the Galaxy Audio releases of the old L. Ron Hubbard science-fiction stories from the days of the pulps, 30s-40s. As I would do the research and find out more about these writings I found that they are also releasing other genres of L. Ron Hubbard’s multitude of fictional short stories and novellas. The other genres are; westerns, tales from the Orient, far flung adventure, air adventure, sea adventure, mystery and fantasy. I have read some of the fantasy and they were just as fun to read, or listen to, as in this case. So I decided to try another genre. The far flung adventure caught my fancy so I picked out the title “Destiny’s Drum.” And once again my commutes were fun, while listening to this novella. Before I get into the meat of the story, once again I would like to spout a little praise on the production of these audio books. Galaxy Audio mixes just the right amount of sound effects to keep the listener lost in the story, yet not too much to overpower the production. The acting in these stories, as well as the narration, really keep the feel of the time in which the original stories were written. They come across as old radio serials, with moments of urgency and humor mixed in with just the right amount to not sound hokey. I almost expect the end of each chapter to end with the narrator booming in, “Tune in next week for more daring adventures…” No matter what genre the stories, Galaxy Audio makes listening fun and exciting. The story behind “Destiny’s Drum” is that a renegade by the name of Phil Sheridan lands on the shores of the forgotten Indonesian island o f Kamling. He’s captured by a primitive tribe (could they be cannibals?) and taken to their camp to meet their leader. It turns out the tribe’s leader is Jose Emanuel Batista, slave trafficker, murderer, con-artist now tyrant. Portuguese Joe, as Batista is otherwise known, knows of Sheridan’s past and decides he doesn’t need him meddling in his island paradise, so he sentences Sheridan to be killed in front of a firing squad. Sheridan cons the con-man and makes his escape into the jungle on the island. Where he runs into the island’s true King, and another con-man turned gold miner. In order to get off the Island Sheridan has to get past Portuguese Joe and his tribe of Muslim cannibals, so he recruits the help of the miner and the king to overpower Batista. This is a continuous island adventure that keeps you waiting for the next chapter, in fact I found myself taking the long way a couple of times just so I could listen for a little longer. 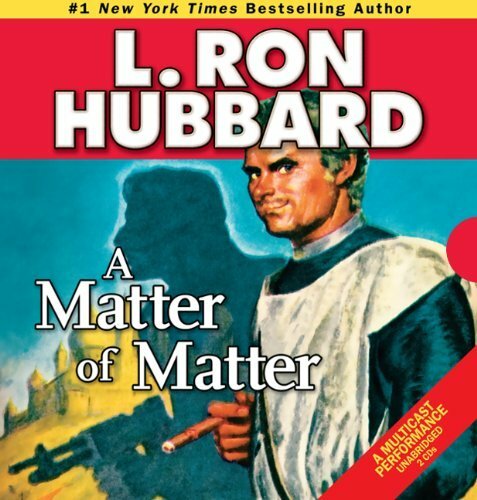 One thing to keep in mind, this is an L.Ron Hubbard story so expect some very interesting twists and turns in the plot and the story may go a direction you aren’t expecting. Just when you think you got it figured out and you’re having fun listening to the story, it turns out you’re still having fun, but it’s not what you think. When I first started “seriously” collecting comics I was collecting Spider-Man and anything by Todd McFarlane, including his Spider-Man stuff. I then realized that the rock band KISS had some comics, so I sought out the 2 Marvel Kiss comics and then Marvel’s Kissnation. I did some further research and found that the very first appearance of KISS in comics was in issue 13 of the original “Howard the Duck.” This issue also featured Spider-Man so it was a win-win. I soon found out that it was a win-win-win, because the issue revealed the subtleties of Howard the Duck and his troubled life. When I was younger I remember seeing my dad read a couple issues of the comic, I tried but being a kid, I just didn’t get it then. Howard was a political-social commentary comic book, and at the time was a bit over my head. But then reading those back issues in my adult life, I found some very creative writing and some funny stuff. Fast forward to the late 90s and I’m struggling to keep up with all the comics I want to collect. Spider-Man has about 7 different titles, Todd Mcfarlane has branched out and KISS launches another comic book under the Vertigo comics label. I’m starting to get tired of collecting, keeping up seems to be work and the fun has gone out of the reading because of this. In 2002 I learn that Marvel is relaunching the “Howard the Duck” series and this time they’ll do it some extra justice because they are releasing it under the Max list of titles. The Max sub branch are a bit darker and definitely more adult themed. For starters the characters can use the “F-word.” But alas at this time the comics industry has burned me out and I just quit buying comics. Now this series only lasted 6 issues and I never gave it a chance, so when I see the trade paperback compiling all 6 issues into one I had to pick it up and see what I missed. I’m glad I did. No, it didn’t get me back into collecting again but it did provide a great time reading a funny social satire in the form of a comic book. 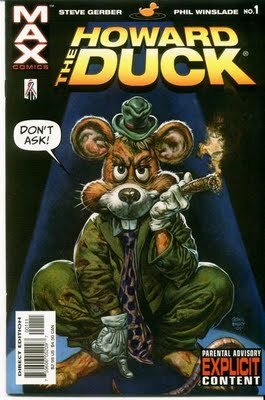 I thought it very weird that the cover had a picture of a mouse in a Howard costume (including the inevitable cigar) but that was soon explained. Before I talk about the storyline in this one I should maybe give a little background on Howard. Years ago Howard was down in the dumps and about to commit suicide when he was sucked into some sort of space time vortex that transported him from his alternative planet where the dominant sentient life form was evolved from ducks, not apes. He finds himself crash landed in Cleveland, Ohio, USA. Here he is befriended by Beverly Switzer. Through many adventures he and Beverly become pretty close but a human and a duck in love? That’s just wrong. During one of these adventures Beverly is tricked into marrying Dr. Bong ( a bell headed evil villain). So life continues for Howard & Beverly in the year 2002 and they find themselves living in a shack in a junkyard, because they can’t find jobs. Beverly is then offered a job paying $125,000 a year. It all sounds too good to be true, well, that’s because it is. The job is weird in that they are testing the appeal of boy bands on gay men. Well if a member of a new boy band doesn’t test high enough, his body is thrown back into the DNA tank and an new band member is manufactured. Oh yeah and the C.E.O. of this company, Howard’s arch-nemesis, Dr. Bong. Dr. Bong basically only hired Beverly to try to win her back. Things get even weirder when Howard confronts Dr. Bong at the testing labs/DNA labs and Howard is thrown into one of the DNA tanks. Howard is turned into a Rat, er..uh, a mouse. Howard’s DNA becomes unstable and soon Dr. Bong makes one final attempt at getting Beverly back by calling homeland security and telling them Osama el-Braka is hiding in the junkyard. After the army and girl scouts destroy the shack they find that there is no Osama or a duck (remember, Howard’s a mouse now) so they apologize and leave. 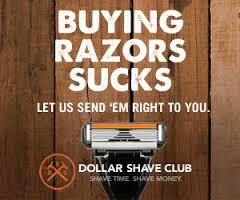 But this leaves the pair homeless. 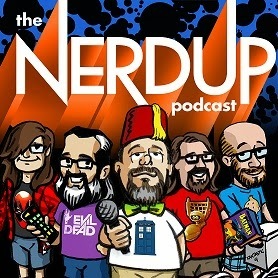 Beverly and Howard end up staying at a metaphysical halfway house full of strange beings and then making an appearance on the Iprah show with guest Dr. Phlip. Iprah becomes posessed by Deuteronomy a heavenly experiment gone wrong, that was supposed to replace God because he’s on a bender on Earth. Howard then learns the truth of existence and is told the secrets of God, Earth and Life. Very entertaining stuff here, great social commentary and very unique looks at religion and government. Another aspect to remember is that this is a comic book so there are some pictures to look at as well. And as is tradition with any Howard the Duck comic, look closely at all the frames in the comics and you’ll see many hidden pictures and further commentary. Oh yeah KISS makes an appearance in this collection as well. Once again I get the chance to revisit the days when sci-fi ruled. Going back to the Golden Age of sci-fi you have to remember that then the stories were sold to various pulp magazine publications such as “Astounding Science Fiction,” “Startling Stories,” and “Thrilling Wonder Stories.” Through these pulps you could get your weekly fix of some great science-fiction through various authors. L. Ron Hubbard wrote hundreds of stories during this time and many in the sci-fi genre. Galaxy Press has started releasing a line of books (12 titles/year since 2008) each with a collection of Hubbard’s short stories. These books are released in their own “pulp” version or as audio books. 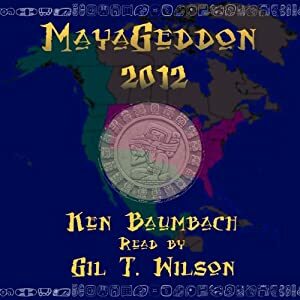 This audio book contains 4 stories including the main title, “A Matter of Matter,” with a cast of performers and narrated by R.F. Daley. Daley delivers the stories in a manner that immediately blasts the listener back to a simpler time, when these stories could have been aired on a nightly radio broadcast. The entire production reminds me of the old radio shows yet they still have a fun modern feel to them. 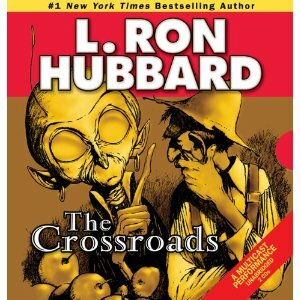 One thing I have gathered from listening to these audio books is that L.Ron Hubbard knew how to throw a twist on a story. The events of the stories are a great tale in and of themselves but Hubbard throws a wily twist at the end that could put an old “Twilight Zone” episode to shame. These twists are not entirely out of the blue, yet they do keep the listener guessing. Here’s a rundown of each story in this collection. First appearing in “Astounding Science Fiction” in August of 1949, this story tells of a young man eager to become king of his own world and through an advertising flyer he finds he can purchase a planet. There are many planets out there so the capitalists on Earth have decided to sell them off. Chuck Lambert is one of those suckers, er, uh, I mean customers. The day comes when Chuck’s final payment is made and he blasts off for his planet. According to the contract he must spend 11 years on the planet. He lands on the planet to find out he’s been suckered. Everything is opposite for him on this planet. The air suffocates him, yet there is green grass and plants, the water is refused by his stomach and the gravity makes him float. Chuck has been suckered. Or has he? First appearing in “Astounding Science Fiction” in May of 1949, tells of a man whose outer space adventures are a series of outlandish and comical tales that there is no way they can be real. Everyone laughs at the stories being published, then when the author of these stories is taken to court for unpaid taxes he is forced to reveal his sources and income. This could lead to the fall or surge of the exploration of space depending on how the case comes out. First appearing in “Thrilling Wonder Stories” October, 1949, is the perfect story of how some folks will do anything to get out of a contract. A major corporation has paid to have a planetoid terraformed, but the contract says if ahead of schedule the contractors will be paid millions in bonuses, if late the corporation gets the planet for free. Sleepy Mcgee the head engineer, never gets upset when delays happen and equipment breaks down, even when the corporate big wig yells and screams, he just goes on playing poker via radio link with another engineer. Will the plantoid ever get completed? First appearing in “Astounding Science Fiction” May, 1948, is a great time travel story. A young soldier fighting Germans in WWII Italy finds himself blasted back to the time of Nero and finds himself as a spectacle in the Colosseum. With his modern weapons of war, the lions, elephants and slaves are no match, but when Nero feels threatened and sends out the legions he finds himself in need of a miracle. All four of these stories make for a great 2 hours spent listening to some “old timey” science fiction that is very enjoyable. Once again P.N. 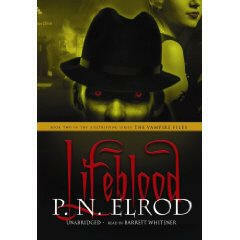 Elrod has created a fun read in the second installment of The Vampire Files, with “Lifeblood.” What makes these books fun is that they are not just another book about vampires but they are the film noir of vampire novels. Did you ever read any of the old detective magazines with stories about a private investigator of sorts cracking the case while at the same time narrating every little detail? Well that’s what you can expect from The Vampire Files. Barrett Whitener reads them in the fashion that brings up pictures of Humphry Bogart or William Powell as the detective. His delivery is perfect for the first person telling of these stories. Especially when he has to deliver such lines as; “That thought chafed at me like starched underwear.” or “The knife was so sharp it hurt to look at it.” These are classic examples of the language from the style these books are written in and Barrett Whitener knows how to deliver them. Jack Fleming was an investigative journalist in Prohibition-era New York but when he died he became a Vampire and moved to Chicago. In P.N. Elrod’s vampire mythology vampires exchange blood with a human and after the human dies they may or may not become a vampire. The logic behind this is that if in every case of blood “sharing” the human became a vampire, the world would be overrun by vampires. Makes sense. In Jack’s case, he was sent by the paper to cover the world premiere of the movie “Dracula” starring Bela Lugosi. There he meets Maureen and they discuss the possibilities, they fall in love and she tells Jack she’s an honest to goodness vampire. The inevitable blood exchange happens, with neither of them knowing if it’ll take. Maureen then leaves saying someone is after her and Jack never hears from her again. In the meantime (book one of the series) Jack is killed and comes back as a vampire. He also becomes associated with a private investigator in Chicago, Charles Escott. In this book, it has been 5 years since Maureen disappeared and up until now Jack has been running ads in the personal columns in several newspapers nationwide asking if she is safe. (remember it is the mid 1930s and Craigslist has yet to be invented) The five years past Jack has been faithful to finding Maureen, but he has now fallen in love with a nightclub singer he rescued in book one. So he stops he ads. His current love is about to hit it big with a radio broadcast performance and Jack is ready to move on. The problem with stopping the ads is that it brings Jack to the attention of people who have been also looking for Maureen. One of these is a nearly comical team of vampire hunters named Braxton and Webster. Braxton owned a bookstore in New York specializing in rare books, especially those on the occult, he has been hunting Maureen and when Jack stops the ads he knows Jack has been changed. The other is Maureen’s younger sister, now 82 years old (yes, vampirism keeps you looking young). The sister is wanting to find Maureen because she is dying, she wants Maureen to turn her into a vampire. What soon becomes a hunt for the truth Jack and Escott have to solve the mystery of the never before heard of sister of Maureen and at the same time keeping the vampire hunters at bay. With some great mysteries to be solved and even a few laughs thrown in “Lifeblood” is worth the listen whether you are a detective or vampire fan. Sounds like I’m really going to love this series. Guess I’ll go to Amazon for book one and do it in order… Thanks for the recommendation. Readers can’t do more than that for each other. It’s like a fix for an addict, I’d imagine.